Wow, two whole weeks without a single posting. Been on 'vacation' in Southwest Ohio, seeing family and some old track buddies. With all that free time not working on this blog, I managed to stay out of trouble and find some nice old journals and magazines at Steve Price's house in Piqua, Ohio. Steve's 'stuff ' goes back to the 1960s and included his 1965 Boston Marathon program and race number. 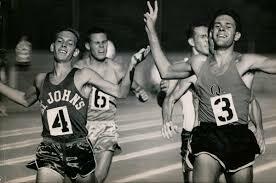 He finished in the top hundred that year after hitchhiking from Miami University of Ohio to Boston to run the race. 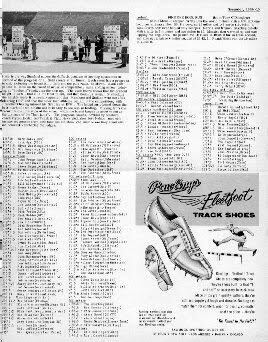 Below, the 444 listed entries for Boston in 1965. Were you there? To see the listings more clearly, place cursor over picture and click on it. scrolling to enlarge it. To return to article click on picture and then reopen the article when the website reappears. Below: Top Ten Runners for the Ten Previous Years 1955-64. 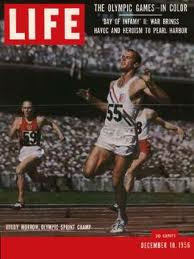 Note: One of our regular readers, Canadian, Orville Atkins place 5th in 1962. After going to Tokyo to see the Olympics in 1964, Orville emigrated to L.A.
and trained and ran for the L.A. Track Club under Coach Igloi. Steve went into coaching shortly after graduation while he was teaching in Kettering, OH public schools. He started the Kettering Striders club for girls in age group track. Boys shortly after became part of the club which travelled around the country competing in AAU junior meets. 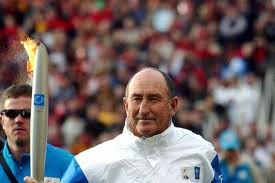 In that period, Steve would serve as coach on three US National teams. One was at the US Russia dual meet in Moscow where Mary Decker threw the baton at a Russian who had bumped her off the track in a relay. The Russian press queried Steve after the meet about what he would do to Mary for her misdeed. His reply was classic. "We're due to leave Moscow tomorrow, and she'll be on the plane." 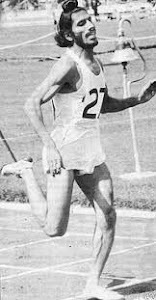 Steve also coached the US women in the 1977 World Cross Country championships in Dusseldorf, West Germany and coached the women's race walking team in the World Championships held in Syracuse, NY. 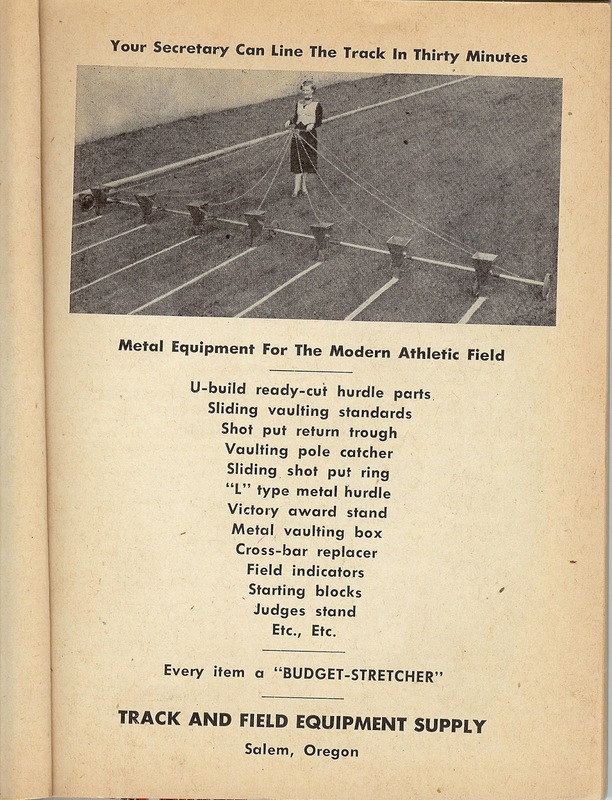 As girls track became part of the regular high school programs, the club system faded. 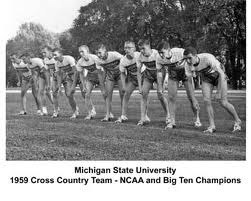 At that point, Steve became the first men's cross country coach at the University of Dayton about 1980. That team was started so that Dayton could meet NCAA Div. 1 requirements of providing multiple sports so that the university could continue to field its nationally ranked men's basketball program. The cross country team was one step above a club with an $800 budget. Steve, coached, drove the bus, washed the jockstraps, and kept the beer in a cooler for the trip home. 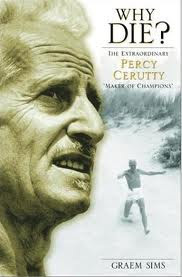 From there he went to Bahrain in the Persian Gulf to coach their men's distance runners through the US Sports Academy. After that two year gig he went back to Kettering Schools, before taking on the women's cross country and track programs at Bowling Green State University and after retiring from that position began coaching hurdlers part time with Findlay University twenty miles down the pike from Bowling Green. He is still active on that job. This is enough for one posting but there will be more things from the old mags and programs I found and photographed at Steve's place. Oh yes, and one other picture I found of Steve. On vacation back in Ohio, fortunately some things came to us from various sources to keep the blog going. 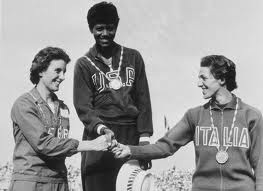 Carrying on with women in track back in those days. 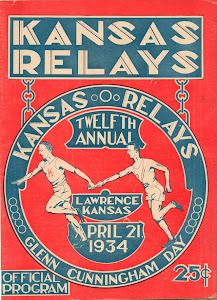 Most relays and big meets had a queen, even a court. Here is the write up on the queen at the San Diego Invitational back in 1966. "Sports are exciting and stimulating. If I were a man, I'd want to be a pro athlete." Probably wouldn't pass the PC acid test these days. A San Diego MacDonald's Ad Circa 1966 from the same program. Full disclosure of their ingredients, Wonder Bread and meat from Swift Packing. Now those things are a mystery. And three locations in San Diego, Wow! Wonder if these guys diversified and went into Port A Johns? Wouldn't have had to change much in the ad copy. What a wonderful concept. Now was the product served on the sidelines to the athletes? the school record to Leo Manzano. Former San Antonio high school running star Ricardo Romo celebrated his 72nd birthday last month, but he doesn’t act like a man who wants to slow his pace any time soon. The president at UTSA will work a dozen hours or more in a day if that’s what it takes to improve the school. “The other day I had a really long day,” says Romo, a 1962 Fox Tech graduate. “Every moment was booked. I had a dinner from 6:30 to 10:30 (p.m.), and I walked out just in time to see the last shot taken (in an NBA Finals game). Just do it. Such a proclamation from Romo doesn’t come as a surprise to anyone who has followed his remarkable life. Raised by parents who met while picking cotton in South Texas, Romo started sweeping floors at his family’s West Side store about the same time he entered primary school. He’s been multitasking ever since, balancing as a young man the rigors of academics, athletics and a family grocery store business. “What he does (at UTSA) is a tough job,” said former San Antonio Independent School District superintendent Victor Rodriguez. “It’s very demanding. But I think Richard still has the endurance that he gained by training as a runner. In a sense, it’s always been that way for Romo, who followed the lead of his parents, teachers and mentors to a prolific athletic career. 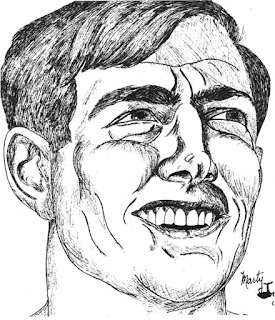 He emerged in 1966 as the first Texan and the 19th man in history to run a sub-4-minute mile. But even when his Olympic dreams faded because of a back injury, he found another gear altogether, taking a new career path as an educator, a published scholar, a university administrator and, finally, the fifth president of UTSA. For 16 of 40 years in UTSA’s classroom history, Romo has engineered a stunning spike both in enrollment and in students earning degrees. UTSA has produced more than 100,000 graduates, with more than half of that total earning degrees since Romo became president, a school spokesman said. In addition, his appointment also has served to make many in the city’s disadvantaged communities feel included. The roots of Romo’s family run deeply into Mexico. Three of his grandparents immigrated to Texas in the wake of upheaval from the 1913 Mexican Revolution. While neither of Romo’s San Antonio-born parents attended college, their diligence to build a better life served as a blueprint for their son’s success. Romo’s mother had to drop out of school in the 1930s after sixth grade to work, shelling pecans. His father started high school at Fox Tech but didn’t secure his diploma until age 23, in 1940. Out of school but not out of options, Henry Romo Sr., shined shoes downtown and worked in an East Side poultry business, eventually buying the business for $200. After returning from World War II, the decorated Army Air Corps veteran sold out his interest in the poultry business and bought the grocery to support his family. “He was a pretty driven guy,” Romo said. A few years later, he also discovered a unique talent. He was the strongest and fastest runner in his junior high school P.E. class. One day on the playground at Horace Mann, Romo finished a one-mile fitness test well ahead of the rest of his classmates. 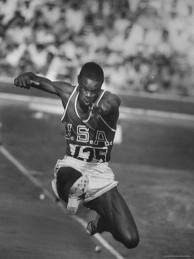 Watching the display of speed and stamina, coach Bill Davis told him later that he was the most natural runner he had ever seen. Davis, a retired military man, proved to be a beacon in Romo’s life in the mid- to late-1950s. 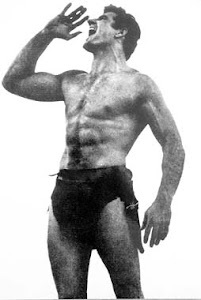 Not only did he encourage the young man to start training seriously, he also looked out for all the Hispanic students at predominantly Anglo Horace Mann. On one occasion, Davis witnessed some high school kids taunting a group of Hispanics from Horace Mann, including Romo and an older brother. Witnessing a potentially dangerous situation, Davis took the matter seriously, striding across the school yard with a baseball bat, demanding that the older students disperse. “His actions were an act of courage and compassion, an act that my family would never forget,” Romo wrote in an essay for “Latino College Presidents: In Their Own Words,” a book by David J. Leon and Ruben O. Martinez. At Fox Tech High School, he blossomed into the best runner in Texas, winning the state titles in the mile in both 1961 and 1962. At the University of Texas, Romo won several conference titles and placed third in the mile nationally as a senior. 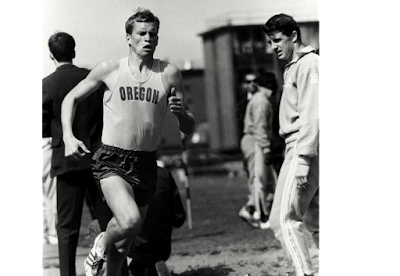 By 1966, he ranked among the top milers in the United States, setting the UT record with a time of 3 minutes and 58.8 seconds. 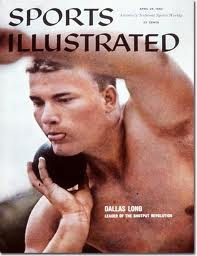 Subsequently, Romo suffered a back injury that would end his career only a year shy of the 1968 Olympic Trials. Initially, the injury was a shock, but by the time the trials began, he was deeply involved in a new phase of his life, married, living in California and working on a master’s degree. For the next dozen years, he worked to complete his master’s, his doctorate and his most expansive published work, “East Los Angeles: History of a Barrio.” In 1980, with the six-year book project completed, he returned to Austin to join the faculty in the history department at UT. After working seven years as UT’s vice provost of undergraduate education, Romo in 1999 accepted the president’s job at UTSA. The son of San Antonio’s West Side had returned home. Talking over lunch recently, Rodriguez says he remembers the image of a young Romo running along a creek near downtown in the early morning hours. Little did Rodriguez know that the path along the creek would lead Romo all the way to the president’s office at UTSA. Romo, talking about his life’s journey in the ornate president’s conference room, looks and sounds like a man who still hasn’t finished the race. He is in a demanding job, but he loves it. For years my co-blogger Roy Mason has ended his reports with a sign off that "Cliff Severn is still advertising this month touting Adidas track shoes on the back cover of TF&N". In the 50s and early 60s Cliff was probably the only person west of the Mississippi who handled those shoes. I'm not sure how he distributed the much sought after footwear either from the back of his car, from a store front , or mail order. Several of our readers including Ernie Cunliffe have mentioned seeing Cliff at meets and getting shoes from him either with hard earned cash or hard earned track performances. The stories vary. When I started doing a google search last year for more about Cliff, and about Vandervoort's Hardware store in Lansing Michigan (one of the few other Adidas distributors in the US), I found an obituary about a Cliff Severn, child actor and international crickteer who lived in the Hollywood area. But alas there was no mention in the obituaries about his connection to Adidas. However name and the location were just too big of a coincidence not to be Cliff. Finally another obituary popped up this week confirming that the man was indeed all three personages. If any of you have had any face to face encounters with Cliff that you would like to describe, please feel free to contact us, but be careful what you write, as it will most probably end up attached to this article. Pictures of Mr. Severn would make one think that he was indeed a man of some eccentricity. He was born in England of South African parentage. He came to America with family in the late 1920s and before long was appearing as a child actor in several films along with his brothers. While in Hollywood he learned the game of cricket probably from his Pa or the British colony in film land, and played regularly with David Niven, Errol Flynn, Boris Karloff. Karloff, that's precious, because I can only imagine Frankenstein stumbling around with a cricket bat as the villagers are chasing him up into the hills with their burning torches. 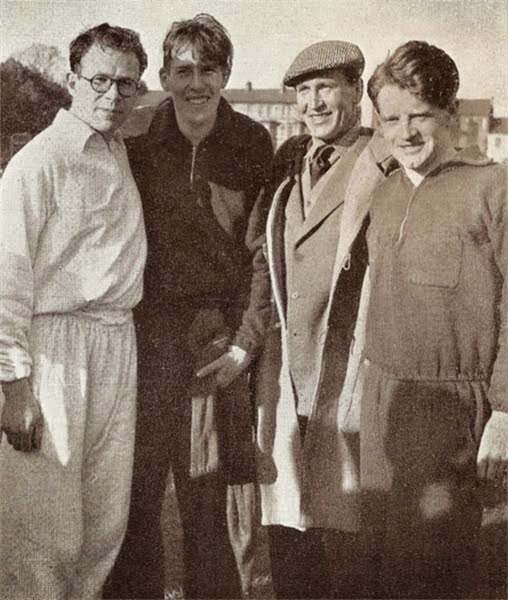 Cliff founded several cricket clubs in the L.A. area and even represented the US in a match with Canada, thus making him an 'international' in the cricket world. He also started importing Adidas shoes in the early 1950's. 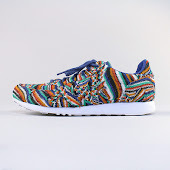 He is credited with encouraging the company to develop tennis shoes out of which came Stan Smith tennis shoes and soon after some basketball shoes. He also represented the company during the World Cup of Soccer when it was held in Chile. By the late 60's he owned C & C Sports and the Sweat Shop. I imagine Cliff was by passed when Adidas started expanding rapidly and needed an organization that could manage things on a huge national and international scale. But to any of you who were a regular reader of Track and Field News in the 50's and 60's, Clifford Severn was a household word. The Thousand Oaks Acorn covered all the bases, or should I say wickets, in this obituary. in high school we had to call Cliff's business in North Hollywood to order Adidas. Someone had a brochure and we'd call, make the order and pay COD when UPS delivered...usually the next day. Sometimes we would drive all the way up to his store to get running shoes. Hello Roy and George-what a flashback this posting gave me. After wearing "Chuck Taylor" gum soled shoes with a black canvas upper in the 9th and 10th grades (1956-1957) my dad drove me up to North Hollywood to Cliff's place of business and bought me my first pair of Adidas shoes. Other members on that Excelsior High School team wore some other brands but after reading the Track & Field News ads that touted how many Olympic Champions and World Records were achieved in those Adidas spikes what choice could a budding 880 runner have but to wear those shoes with the three stripes. 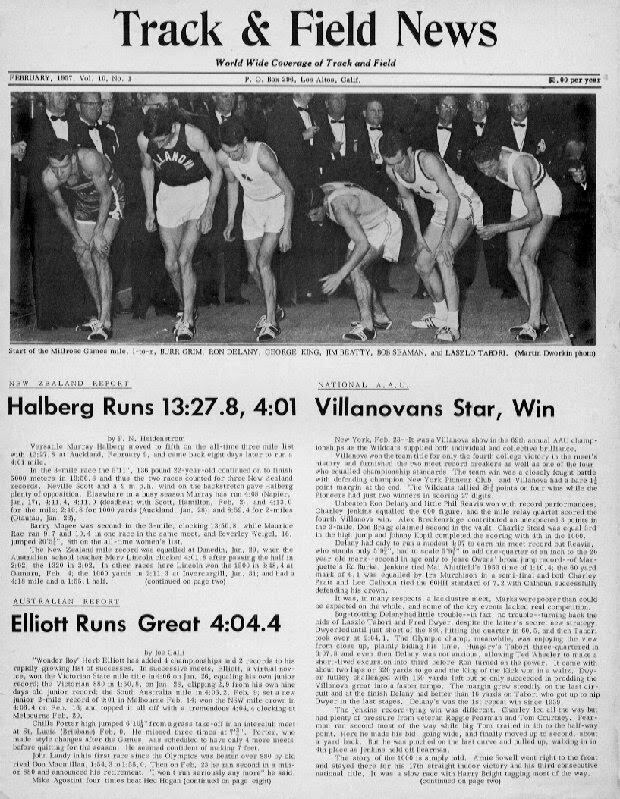 If the ads in Track & Field News were not enough, check out the foot ware laced up on the starting line of the 1957 Millrose Games Mile run: Burr Grim-Adidas Ron Delany-Adidas George King-Adidas Jim Beatty-Adidas Bob Seamon-Adidas and Laszlo Tabori-Adidas! 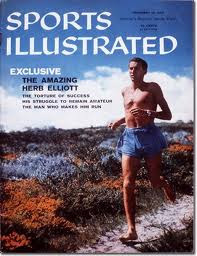 Included on the front page of this February 1957 T&FN edition is an early headline about the "Wonder Boy Herb Elliot". 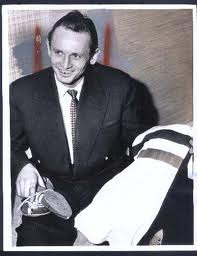 But the icing on the cake came when the man Herb Elliot made Adidas his shoe of choice. Even the boys from Abilene Christian got on board! It was ADIDAS all the way! Feel free to use any/all/none of this reply. I just enjoy the chance to go back and recall these exciting times in my running career. Thanks again for the ongoing history lesson. 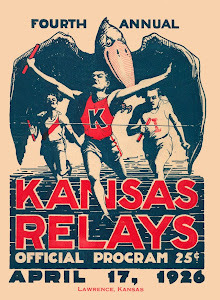 That "Human Sky Writer" pole vaulter picture I sent you a while back had me wearing red and white stripe Adidas shoes --- 1956 version. I don't remember where I got them ---it was probably mail order so probably from Cliff. Rest of the story --- 1984 to 1986 I lived in Santa Maria, CA ---Mike Larabbe's home town. Mike and I ended up being tennis doubles partners and were a pretty successful team ---good athletes playing tennis rather than classic tennis players would be a good way to classify us. Mike did not like my cheap tennis outfit so he gave me a fancy Adidas sweat outfit so we would "look right". When Mike died about 10 years ago, his wife sent me a pair of Adidas spikes from his inventory ---still have, brand new. 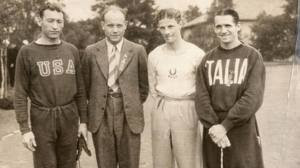 By 1954, Bowerman had established a long distance relationship with Adi Dassler, knowing that he made the best product in the world. 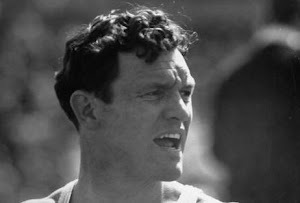 He imported some Adidas product through an Austrian friend from the war (referenced in Kenny Moore’s “Men of Oregon”), but when that dried up, he complained to Adi that purchasing Adidas product in the U.S. was too expensive for most track teams. He particular called out Severn for marking up the shoes too high, and asked Adi for the distributorship, because he claimed he could take a lower margin and make them more accessible. Adi said he had to honor his current commitment to Severn, but once the current contract expired, he would like Bill to have the distributorship. Obviously that never happened. 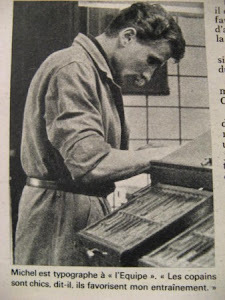 But, Bill continued to purchase and dissect Adidas spikes, learning how they were constructed and using the spike plates as a base for his athlete’s handmade calfskin shoes, which were considerably lighter than say, a Adidas’ Melbourne. Something about the name 'Lon Spurrier' just connotes to me the words, 'fast, flowing, swift, speed, track' I never saw him run. I had to look up his record to even be aware of a few facts about him. 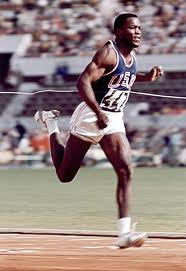 But that name was one of the few that ever said to me , 'pure , raw, running ability'. Lon Spurrier passed away on June 23, 2015. A Celebration of his life will be held in the Bay Area July 12, 2015, see link above. We just heard about it tonight and went google searching for some background. Lon graduated from Delano HS in California in the early 1950's. He was a child of Dust Bowl migrants to the state of California. 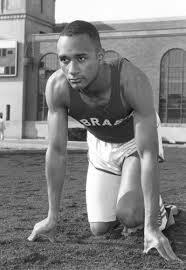 He went on to U. of California at Berkeley with a limited background in track. He had finished sixth in the state meet in his third try at 440 yards. 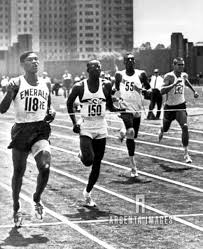 Lon just got better and better and in 1955 had his best year setting a WR in the 880 in 1:47.5 and running on two WR relay teams . 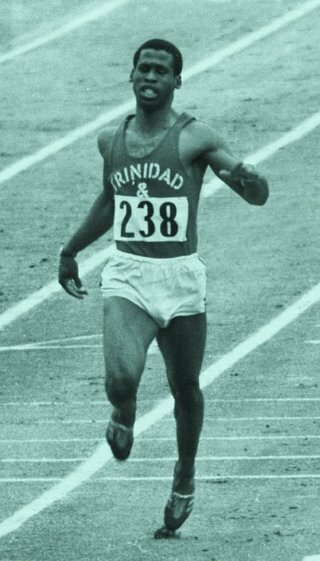 He got second in the Pan Am Games 800 in Chicago that year and ran on the winning 4x400 team with J.W. Mashburn, Jim Lea, and Lou Jones. 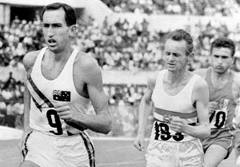 In the Melbourne Olympics he finished 6th in the 800 in 1:49.3. He went on to get an M.B.A at Harvard and worked on Wall Street before returning to the Bay Area in California. Below is an article from the San Francisco Chronicle. Our sympathies to his family. Lonnie V. Spurrier (Lon), a proud Cal graduate who set the world's record in the 880 yard run in 1955, passed away peacefully on June 23rd at the age of 83. 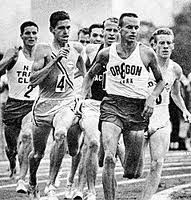 A world class athlete, he represented the United States in the 800 meters, during the 1956 Olympics in Melbourne Australia, coming in 6th. Lon was born on May 27, 1932 in the rural farming community of Douglas County, Missouri. He was one of six children of John and Golda Spurrier, who migrated to the Central Valley of California during the Dust Bowl, eventually settling in the agricultural town of Delano, about a half-hour north of Bakersfield. 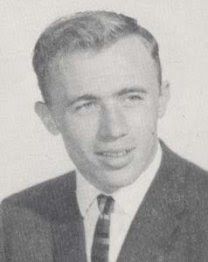 He grew up playing sports like his two older brothers, and when he graduated from Delano High in 1950, he had established himself as an all-around athlete playing Varsity Football as halfback, Basketball (named outstanding defensive player of the year), and both Baseball and Track. Lon was also active socially in high school where he was Student Council President and voted by classmates as best all-around senior boy. In his senior year, he was encouraged by his high school coach to switch from Baseball to Track, where he participated in a wide variety of events. Track proved a natural fit, and by the end of the season he'd set the school record in the low hurdles, and finished 6th place in the California State meet in the 440, the third time he'd ever ran that distance. 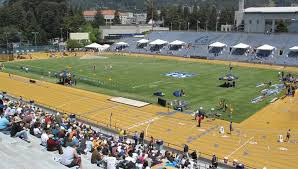 It was at the University of California at Berkeley, under the tutelage of legendary Cal track coach Brutus Hamilton, that Spurrier's newfound interest in track flourished. 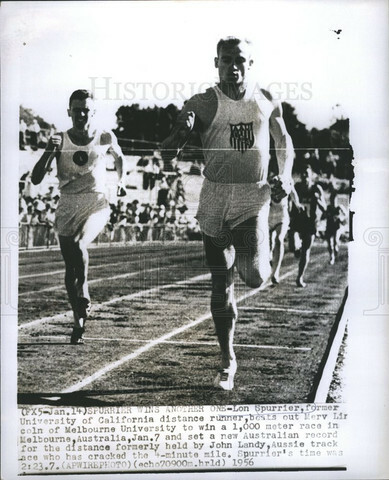 He won the Pacific Coast Conference 800 title in 1952 and tied for third in the NCAA that year. He was named an All-American. 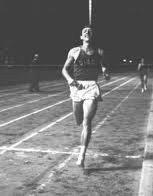 In 1955, on the clay and cinder track at Cal's Edwards Stadium, Spurrier set the world's record in the half-mile with a time of 1:47.5. Later in 1955 he won a silver medal in the 800 at the Pan American Games, and ran on the gold medal winning 4Ã-400 relay team. 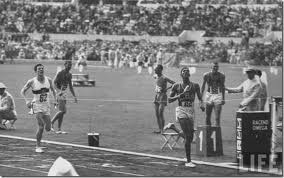 In 1956, he ran on two world's record setting relay teams: the 4 x 440 yard (mile relay), and he anchored the 4 x 880 yard (two-mile relay) record setting team. 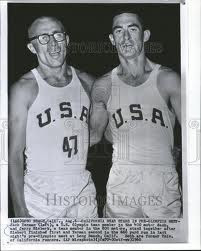 And, in the 1956 Olympics, Spurrier finished 6th in the 800 meters while also one of six members of the US 1,600 meter relay team that won the gold medal. 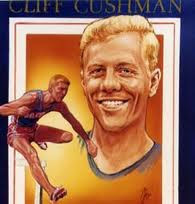 He was inducted into the Cal Athletic Hall of Fame in 1998. After graduating from Cal, he joined the US Air Force where he earned his wings as a jet pilot and the rank of Lieutenant. He attended Harvard Business School, and moved to Manhattan where he began his career in financial management on Wall Street, before returning to the Bay Area and making his home in Orinda. Friends, family, and teammates remember Lon as a great friend, a mentor, and a very upbeat person. 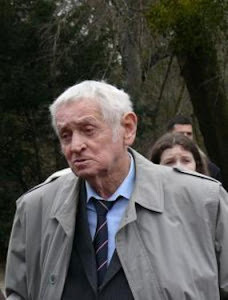 He remained physically active throughout his adult life, playing tennis and continuing to run until he suffered a serious back injury in his late 60's. 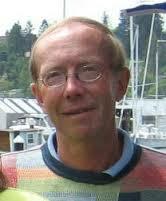 He was an avid fan of UC Berkeley athletics and regularly attended Cal football games and track meets throughout his life. He went on to become the President of the Big C Society. Lon is survived by his loving wife, Ida Lee Spurrier, and their two children: Randy Spurrier and Dana Spurrier. Lon also leaves behind two grandchildren, Jack Spurrier and Amelia Spurrier. In addition, Lon leaves behind many treasured life-long friends, neighbors, business colleagues, and teammates. 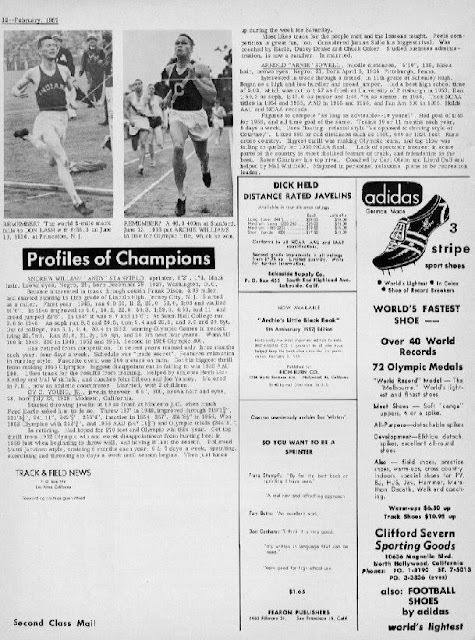 This blog has an underpinning of written synopses of Track and Field News issues that is now up to July, 1965. But we often find a lot of other things to write about or stories we have found on the internet which intrigue us and we hope they do same for you. 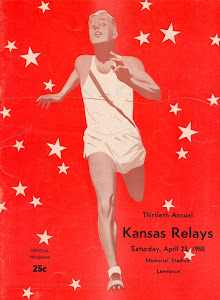 A few weeks ago we posted a copy of the 1966 San Diego Invitational Track and Field Meet program. Mike Solomon had sent that to us after he in turn had received it from a former Kansas Jayhawk teammate , Thorn Bigley. 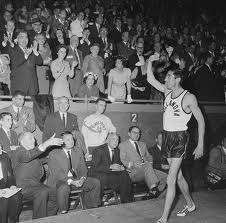 Well, little did we know that the mile run in that track meet produced the first ever sub four minute mile by a Canadian, David Bailey. A few days later Dr. Bailey contacted us to let us know that was 'his race' and that he had never seen that program. It didn't take long for us to decide that the program should belong to David, and Mike got the okay from Thorn to send it to David. David graciously asked if there was anything he could do in return. Well, opportunists that we are, we asked David if he could write some thoughts about that race, maybe some things that hadn't been mentioned before, ie. what led up to his being there, who he hung out with, etc. What we got back was this very 'inside' piece about that event. We hope you enjoy it as much as we have enjoyed putting it out there. 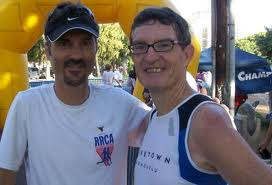 We have also added a link to a story about what Dr. Bailey has done since his running days , which I'm sure may have affected many of our readers without their knowing the connection. Check out the link after reading David's racing story. 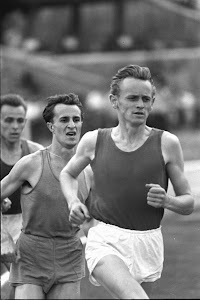 The United States had its first sub-4 minute miler in Don Bowden in 1957. Canada had to wait for several more years. Yet, the desire was strong. 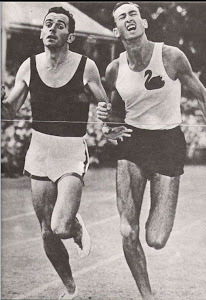 The spark that kindled the flame occurred when Rich Ferguson ran 4:04.5 to finish third to Roger Bannister and John Landy in the Miracle Mile at the British Empire Games in Vancouver in 1954. 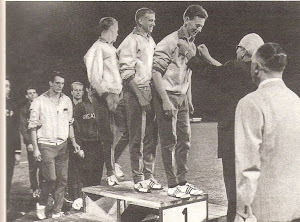 A major step forward was taken by Bruce Kidd, the 18 year old team mate of mine at the East York Track Club, when he ran a stunning 4:01.4 as part of a remarkable season of successes at the longer distances in 1962. There were other very good attempts by the likes of Jim Irons, Ergas Leps and Bill Crothers in the following years. 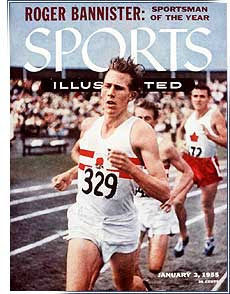 Yet, the newspaper headlines always read “No Canuck Sub-4 miler - Yet”. I demonstrated an early affinity for running the mile. 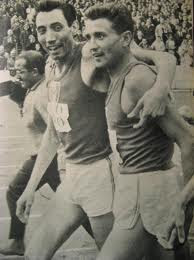 When I joined the East York Track as a 16 year old in 1961, I ran 4:07.5 after just one year of training and competitions and finished third at the senior national championship. 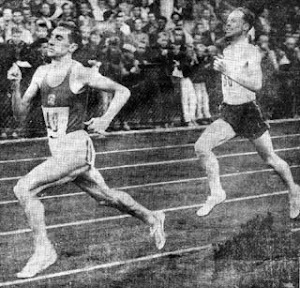 This time was a fraction of a second faster than the previous world best time for a 17 year old (4:07.6) established by the late Ron Clarke of Australia. 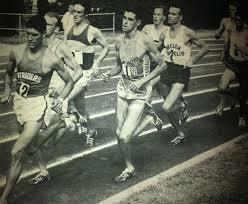 However, my record did not last long as it was obliterated (3:59.0) by the amazing Jim Ryun of the United States in 1964. 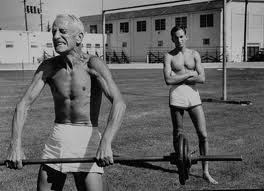 Progress after 1962 was halted for several years because of my injuries. Those were frustrating times but I persisted. 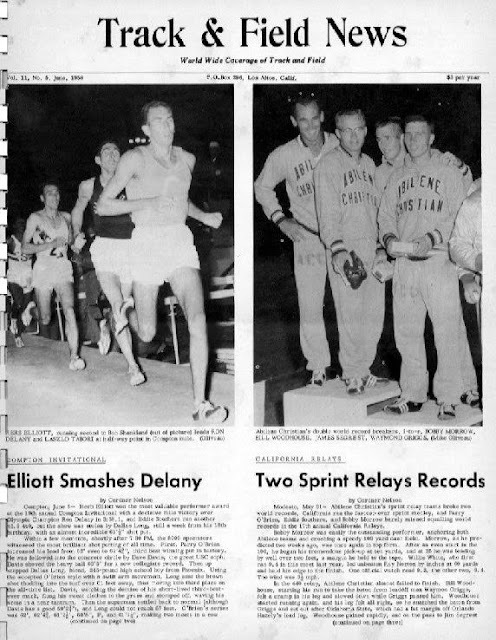 Things finally started to come right for me with several progressively faster times that culminated in a 4:02.9 mile in 1965. It was then that I began to feel that I could be a legitimate contender for the Canadian Sub-4 title, likely in the following year. The build up training for the 1966 summer season when well. A 3:00 minute paced 3 quarters mile time trial in May was achieved with only moderate effort. 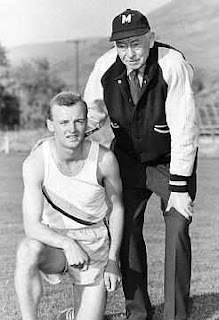 As East York Track Club team mate Bill Crothers had a #1 world ranking in the 800m/880 yd in 1965, Coach Fred Foot had some leverage to get me an invitation to the Compton Invitational Mile in the Los Angeles Coliseum on June 4. On race day, a chance encounter with the meet promoter in the athletes’ reception room proved to be difficult. The realization that this was my first highly competitive race of the year made him question the validity of my presence. 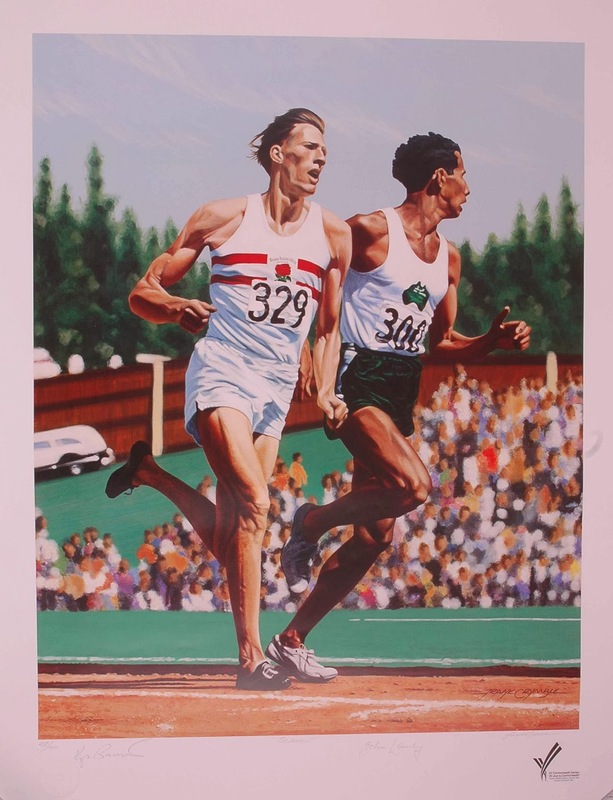 Well, Jim Ryun ran 3:53.7 (0.1 second off Michel Jazy’s world record), Jim Grelle ran 3:56.0, Neill Duggan of England ran 3:59.0 and I ran a personal best of 4:01.5. During a car ride back to our hotel with the Adidas representative, I was questioned as to my reason for wearing Puma spikes. I truthfully said that they were a gift and that I could not afford to purchase the preferred Adidas which fit me better. A phone call from Adidas Canada in Toronto on the Monday after returning home was a much appreciated offer of new running shoes and sweat suit! 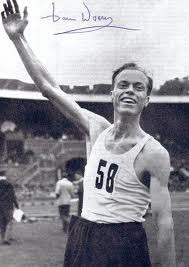 Coach Fred Foot was now totally convinced that a sub-4 minute mile was within my reach. 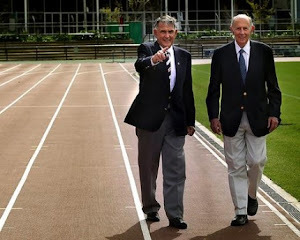 Bill Crothers and he were scheduled for a trip to the San Diego Invitational Track and Field Meet on June 11. A request for expenses to include me in the meet was rejected. Ultimately, I was included in the meet because I went in place of Coach Foot. Bill and I left Toronto on Friday afternoon, connected through Chicago and arrived late in the evening in San Diego. This race was the opportunity for which I had waited for years. Everything seemed to be falling into place. 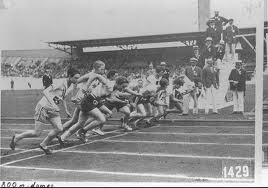 The track would likely be fast, the weather looked fine and the competitors were of high calibre. If the pace could be right, would I be able to rise to the challenge? I don’t think I was ever this anxious before. Waiting for the race was torture. I could not tolerate being inside the stadium and found solace sitting in the dark under a tree outside listening to the muffled voice of the P.A. announcer until it was time to warm-up. Just before the race, Bill came over to me and said I’d better run better that his third place finish. I was placed in lane one and introduced as “our Canadian friend”. The others were record holders of some significance (Jim Grelle, Neill Duggan, high school student Tim Danielson) and received big cheers. I got a good start and briefly led. During the second quarter, both Grelle and Duggan passed me and I stayed with them. Bill kept yelling splits and I kept thinking that we were right on pace. Duggan led with one quarter to go and just as the gun fired Grelle and I started to accelerate. I accidentally clipped his heal and got a dirty look. Typically Canadian, I said “Sorry”. With about 300 yards to go, I was right with them. Then, Grelle changed gears and sailed past Duggan. Duggan hesitated and it was too late for him. When Duggan kicked, I was left behind. The announcer said that Danielson was coming on fast. I am blind in my right eye and knew that I shouldn’t look, but I did. Once I saw him, I knew I couldn’t let up. As I crossed the finish line, my first reaction was “Crap, I missed it again!” However, Bill was there with his watch showing a time of 3:58.8 (official time: 3:59.1)! The confusion after the race was amazing. 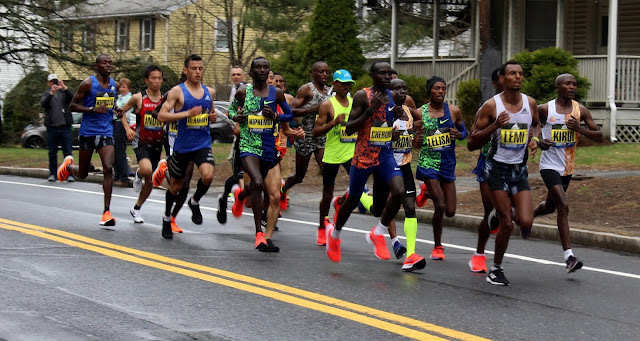 It lasted for about 20 minutes, partly because Grelle and Duggan seemed to have disappeared and partially because the first four finishers had run sub-4. However, I think it was mainly because home town hero Tim Danielson had just become the second high school sub-4 miler in United States history. I can only imagine the elation that he must have felt. Extraordinary! Then the fatigue set in. I had done a lot of my training on the grass of nearby golf courses to reduce the risk of injury (back in the day golfers were more tolerant). After running on the hard all-weather track at Balboa Stadium, my legs “felt like rubber”. Bill and I had to jog back to our hotel about 2 miles away. It was a struggle but I had with a big smile on my face. The next day Bill and I got our return flight to Chicago. As I walked through the airport to the gate for our connection to Toronto, I saw my widowed mother coming towards me. “What are you doing here?”, I asked. Apparently, the airport in Toronto had many reporters waiting for my arrival for interviews. However, the Toronto Star had taken the initiative and flown a reporter and my mother to Chicago, so that we could celebrate over dinner while they could get an exclusive interview. Later that week, I got a letter that is now framed and hangs in my trophy room. It is from the Prime Minister of Canada, Lester B. Pearson. One paragraph in this letter is especially meaningful for me. It states, “May I congratulate you, both personally and as Prime Minister, on your achievement and on the recognition that you have brought to yourself and your country.” Lester B. Pearson was a great Canadian. There is good reason why the airport in Toronto now carries his name. If I might quote author Steven Pinker “He gave Canada many of things it’s most proudest of: universal healthcare, bilingualism, abolition of capital punishment, and a national identity symbolized by a new flag that was distinct for the Mother Country. Most important, he won a Nobel Peace Prize for conceiving and implementing one of humanity’s greatest inventions: the armed peacekeeping force.” Last year on June 11 as I walked through a local shopping centre, I saw on monitor the historical reminder, “On this day in 1966, Dave Bailey of Toronto became the first Canadian to run a sub-4 minute mile.” It felt good. Want to know more about David Bailey? Click on the link below. The track at Balboa Stadium was asphalt. Bob Schul ran well there but it takes a toll on the legs. We have broken up the July issue into two parts. This deals with the NCAA meet. The second report will cover the AAU championship and big doings in Europe. 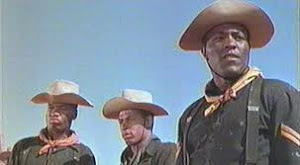 So, just like the lead in to the Lone Ranger radio show, join us now as we return to those thrilling days of yesteryear. It is June 17 and we are at the University of California's Edwards Field. The battle for the team championship has been skewed by the absence of two certain winners, Washington State's Jerry Lindgren and Texas A&M's Randy Matson. Lindgren is a freshman and therefore not eligible. Matson “didn't consider the NCAA meet important” according to Cordner Nelson's report. Before we begin, let's whet your appetite with a trivia question that you can spring on the gang when they gather Friday at the Dew Drop Inn. Ask if anyone knows the slowest final lap run in a winning NCAA mile. Go ahead, take a guess yourself. No, you are not even close. Read further and you will be armed with the answer. For the first time since 1949 there are two double winners. 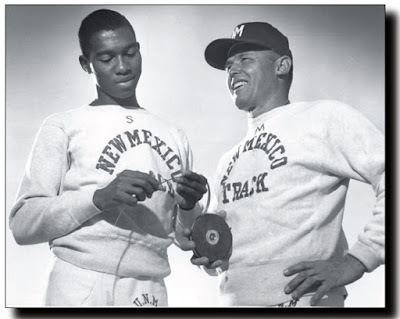 New Mexico's Clarence Robinson takes the long jump and the triple jump with marks of 25-10 ½ and 50-2. Doug Brown of Montana has to work a little harder for his double, 36 laps worth. He wins the six mile by well over half a minute in 27:59.2 to break Al Lawrence's collegiate record by 36 seconds. 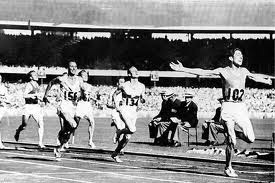 Two days later in the three mile, his margin of victory is slightly less, three inches to be exact. 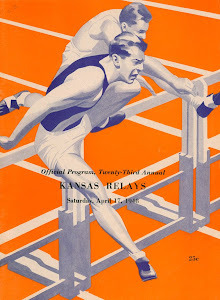 After leading most of the way, he looks beaten when Kansas' John Lawson jumps him on the backstretch of the last lap. Brown comes back on the curve and pulls even down the straight. They fight shoulder to shoulder to the tape with Brown getting the call as they are both timed in 13:40.2. We spoke to John Lawson this week, and he mentioned that the "call" took about 45 minutes to decide. It wasn't real obvious. ed. Nebraska sophomore Charlie Greene lives up to the potential he demonstrated before being injured last year, taking the 100 in 9.4 over Darrel Newman of Fresno State. North Carolina College's Edwin Roberts has a disappointing three days. Roberts is the co-favorite with Greene but false starts out of the 100. With scratches and injuries to his main competitors, he is a strong favorite in the 200. Apparently this news hasn't reached Villanova's Earl Horner who comes off the curve in the lead and holds off Roberts as they both run 21.1.
earl horner Not much out there on Mr. Horner. Click on link to left for a 2000 article about him. Kentucky State's Jim Kemp has assumed the favorite's role in the 400 off his 46.2 semifinal. He certainly is not the crowd favorite as two California kids, Dave Archibald and Forrest Beaty, are setting their blocks in lanes six and seven. From his position in lane two he can keep an eye on them. Beaty is out early and leads down the backstretch before Kemp corrals him on the curve and enters the straight a yard ahead. Archibald is two yards back. The situation doesn't change and Kemp wins, 46.2 to Beaty's 46.3 and Archibald's 46.4. When interviewed, Kemp says, “I thought that Cal boy had it. I was done in but I looked over at him and he didn't look good. I thought maybe he had given up and I called up enough to finish.” A tired Beaty replied, “At least he had the energy to turn his head. I didn't”. Ed. Note. Jim Kemp was one of those rare people who could run a full gamut of short races from a 9.3 100y , sub 46 440, 1:48 880, and may also have run a sub 4:10 mile, but that is unconfirmed. Not sure if he had an official mile time. It would be interesting to know. Legend has it that he went to California to run a 440 and nobody showed up, so he got into the 100 not having a competitive 100 under his belt and ran and won in 9.3. If anyone can confirm the 880 and mile times, please contact us. The NCAA meet has an excitement advantage over the other national caliber meets in that there is a team championship and it matters (as opposed to the AAU which no one really cares about). Brigham Young, New Mexico, San Jose State, Oregon, California, Washington State and Southern California all have realistic championship aspirations. One by one, they slip out of contention until only Oregon and USC are left. We will follow these teams through the rest of the meet. The 880 has the possibility of a dynamite match up between Olympian Tom Farrell of St. John's and Oregon State's Morgan Groth, the owner of the world's fastest time this year. This dual doesn't happen because Groth will be running the 880 in next week's AAU meet and therefore has chosen the mile this week. That is not to say that Farrell is a shoo in. No, indeed, the field is loaded. George Germann of Seton Hall, Dave Perry of Oklahoma State, Wade Bell of Oregon, Darnell Mitchell of Ohio U. and Noel Carroll of Villanova are all capable of winning. Mitchell takes the field through the 220 in 26.7 with Farrell and Carroll in close attendance. Bell moves up on the leaders and is on them as the quarter goes by in 54.6. Perry, who is well back at this point, makes his move down the backstretch, catching them by the 660. Mitchell still leads in 1:21.8 over Carroll and Farrell with Perry and Bell shoulder to shoulder and then Germann. Farrell lives by his kick and today it doesn't let him down. He has been working on his speed this season and has a 46.9 quarter to his credit. Now it comes into play. He passes Carroll on the curve, then Mitchell on the straight en route to a five yard win in 1:48.1. Carroll gets by Mitchell for second in 1:48.9 but the Ohio runner holds off Germann for third as they cross the line in 1:49.2. Bell, fighting for precious team points, moves too early and runs out of gas, finishing fifth but supplying the Ducks with two much needed points. 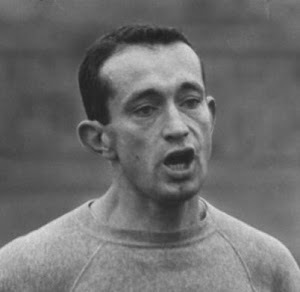 (Germann's twin brother Herb, will win the indoor 1000 yards in 1966). Groth didn't tangle with Farrell, but UCLA's Bob Day will supply more than enough challenge in the mile. Day has set NCAA records in the mile and two mile this season. His 3:56.4 is the fourth fastest mile in the world. Groth is a fantastic finisher. The question is whether Day will allow him to be near enough in the final straight to use his speed advantage. For the spectators the last lap must have been like watching a car wreck, horrible but you can't look away. Day is in trouble, yet the field is well back. The penultimate furlong passes in an agonizing 32.5. The field is closing but the gap is still so large that fans can't gauge a point where Day will be caught. It is obvious that Day has nothing left, no kick that he has been saving. Now it is simply a question of finishing. Each step is more labored than the one that precedes it. Mothers are covering their children's eyes. Bob Delany of BYU and Robin Lingle of Missouri are closing like vultures on road kill. Mercifully Day escapes their clutches, staggering home in 34.6 to win in 4:01.8 as Delany and Lingle finish in 4:02.4 and 4:02.5. Ed Dean of Notre Dame passes a fading Groth for fourth in 4:03.6. Groth, fifth in 4:04.7, says of Day, “I expected him to go out fast, but not this fast”. He says Day has beaten him “both mentally and physically”. Day says what was the prevalent fear of those watching, “ I thought I was going to faint in the stretch”. Alert readers have already known the answer to the trivia question posed at the start of this report. The slowest final lap in a winning NCAA mile is 67.1. In the words of the immortal Walter Cronkite, "And you were there." There is no way to accurately recreate the ebbs and flows of the team race but the next two events are critical in determining the outcome. Stanford just set the world record of 39.7 in the 440 relay last month. The Indians win the first semifinal in 41.1. New Mexico is second in the same time. San Jose State becomes the odds on favorite by winning the second heat in 40.7 over Michigan State and Nebraska, both at 41.1. Sadly for Stanford, their only world class sprinter, Larry Questad, has pulled a muscle in the 100 and is not available for relay duty. The final is no contest. Wayne Herman of San Jose is out early and the Spartans, with Tommie Smith anchoring, win easily in 40.5. Nebraska 40.9, Michigan State 41.1, BYU 41.1 and Stanford 41.2 trail. This is ten points in the San Jose column yet there is no rejoicing as Tommie Smith has pulled a muscle in the last couple yards. He will run the final of the 220 but is never a factor, finishing in 22.0. Essentially this win has ended the Spartans' chances for the team title. but Theo Viltz has also made the final. Their job is made easier by injuries and illnesses that have kept several top hurdlers from entering. The pre-meet favorite, Jerry Cerullia of Utah State, wins his semi in 14.1 but hits every hurdle in the doing. The other semi goes to Gene Washington of Michigan State in 14.0. Viltz and Kerry each placed second so the Trojans are counting on some big points. The SC hopes are realized. Cerullia and Viltz lead early with Washington and Kerry close. At the sixth hurdle Kerry comes alive. He catches Cerullia at the ninth hurdle and wins as they both clock 13.9. Washington hits the ninth hurdle and finishes sixth. This is all the opportunity Viltz needs. He takes third in 14.0. Suddenly the sun is shining on SC. They have 16 points in one event. In a meet where the points will be divided among multiple contenders, it won't take many to take home the trophy. The 440 intermediates have little effect upon the team race. Tony Lynch of Harvard and Tom Wyatt of Oregon State are pre-meet favorites and indeed win the the semifinals. The final is a different matter, however. Lynch set the stadium record of 51.1 in his semi and leads the final until the ninth hurdle where Occidental's Vance Peterson goes by. Peterson has been known to hit the tenth hurdle but this time he clears, only to have San Diego State's Larry Godfrey pass him on the run in. Godfrey 51.5, Peterson 51.6, Lynch 51.8 and Wyatt 52.0. Oregon's opportunity to score big points rests on the shoulders of steeplechaser Bruce Mortensen (more about him later). At the end of five laps he is in a tightly packed group of eight including Tracy Smith of Oregon State, Jack Batchelor of Miami of Ohio, Eamon O'Reilly of Georgetown, Ray Barrus of BYU and Earl Clibborn of UCLA. Mortensen makes his move on the next lap and the pack loosens. At the gun he has a four yard lead over Barrus and Clibburn. The Oregon star pulls away for a decisive win in a personal best of 9:00.8 and ten oh so important points. Clibborn appears ready to pass Barrus on the last hurdle when he falls. Barrus gets second in 9:03.0 and Clibborn recovers quickly to nab third in 9:05.8. His determination is underscored by the fact that he broke his leg in the fall. And now to the part of the meet where big guys throw heavy stuff. The hammer throw has always had an East Coast tinge and today is no different. In a field of only seven competitors, Boston College's John Fiore is the only one over 200 feet and only by 10 inches. He is followed by Bowdoin's Alex Schulten, Northeastern's Bill Corsetti and Art Croasdale of Harvard. Randy Matson's absence is a boon to Oregon. The Duck's Neil Steinhauer tops the field in dramatic fashion. His 62-9 ¼ is a meet record and each of his five legal throws is better than any one of his competitors. In what may seem insignificant at the time, USC's Jeff Smith misses the sixth and final scoring spot by 5 ¼ inches, a very important margin as you will see. 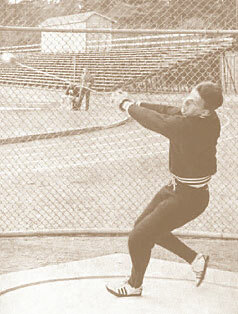 Matson would have been a prohibitive favorite in the discus as well. 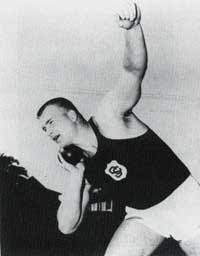 In his absence Stanford's Bob Stoecker takes the gold medal with a throw of 183-7 ½ . Gary Carlson of USC who had thrown over 190 feet earlier in the season can manage only 173-ll today for fifth place, providing two more points for the Trojans. The javelin goes to Arizona's John Tushaus whose 250-2 ½ is enough to edge Penn State's Swedish sophomore, Lennart Hedmark, by a foot and a half. Neither Oregon nor USC score in the high jump but the event has an effect on the team outcome. SC has to be counting on big points in this event as defending champ Lou Hoyt is entered. This is not to be by the slimmest of margins. Maryland's Frank Costello clears 6-ll to win. Second, third and fourth go to Bob Keppel of Washington State, Ted Winfield of BYU and Mike Bowers of Michigan State all at 6-10. The next five jumpers all clear 6-8 and are separated by misses and attempts. 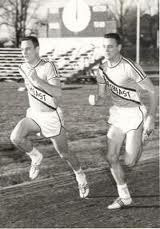 Bill Carter of Cal and Randy Geyers of LSU get fifth and sixth. Hoyt is relegated to a tie for seventh by having cleared 6-4 instead of passing until the bar was at 6-6 thus giving him one more attempt. The Trojans get an unexpected goose egg in the scoring column. Oregon and USC go head to head in the pole vault. 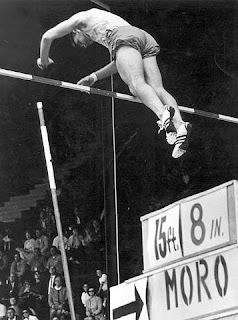 With the bar at 15-8 ½, five vaulters remain: Canadian Gerry Moro of Oregon, Mike Graves of Occidental, Ed Martensen of Arizona, Bill Fosdick of SC and former world record holder John Uelses of La Salle. Uelses and Martensen miss all three attempts and are out. Fosdick clears on his first try, Graves on his second and Morro on his third. No one can get over 16-1, so the finish is Fosdick, Graves and Morro. Ten points for USC, six for Oregon. With only the mile relay remaining, SC leads Oregon 32-28 but the Ducks are in this race and the Trojans are not. A third and Oregon wins. A fourth produces a tie. A fifth and the trophy goes home with the Trojans. Defending champion California is the favorite and they should be based upon a streak of 24 consecutive wins. Yet they are running with a substitute and three guys tired from heats and finals, so maybe they are vulnerable. They won their heat yesterday in 3:09.9. Oregon had taken the other in 3:11.1. Bowling Green was a non-qualifying fifth in the semis but Iowa was disqualified so the Falcons are in. BG is given no chance in the final but apparently no has told lead off man Tom Wright. He runs 47.9 to open up four yards on the field. Then the cream rises to the top. Cal's Dave Fishback splits 46.8 and the Bears have the lead. Forrest Beaty's 45.7 puts an end to any doubt and Dave Archibald's 46.6 brings the local boys home a winner in 3:07.5. 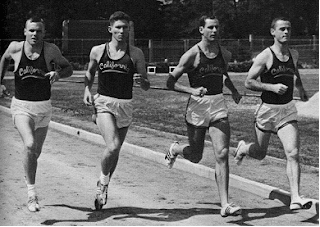 This is the 1964 Mile Relay Champion Team almost same as 1965 winners. 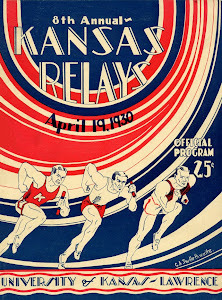 The team championship depends on the anchor leg. Drake is off four yards ahead of Oregon which is a yard up on Abilene Christian. Lynn Sanders runs 46.9 to pass both and give ACC second. When the anchor men hit the straight it is apparent that Drake will hold off Oregon. The best the Ducks can do now is fourth and a tie for the team title. But wait a minute, here comes Morgan State's Nick Lee running the fastest split of the race, 45.6. Now all the USC team has become Morgan State cheerleaders. With every stride Lee is gaining on the Ducks' Gordon Payne, but he falls three yards short at the tape. Oregon has four points and shares the title with USC. And now, a personal note. The entire Once Upon A Time in the Vest staff was privileged to attend a function honoring Steve Prefontaine at the tavern where Pre used to tend bar. Those in attendance included the cream of the crop of Oregon distance running, many of whom had run with Pre. Your reporter chatted with a amiable guy in his 60's who looked like he could go out the door and run ten miles without a labored breath. Very self effacing, he identified himself as “just an average runner, not like these guys” (Paul Geis, Kenny Moore and Mike Manley were there). His name was Bruce Mortensen. No, Bruce, you were not an average runner. You were an NCAA champion. If you hadn't won the steeplechase, the University of Oregon would have one less championship trophy on display. Paul Kerry won the 1965 NCAA title in the 120-yard hurdles. 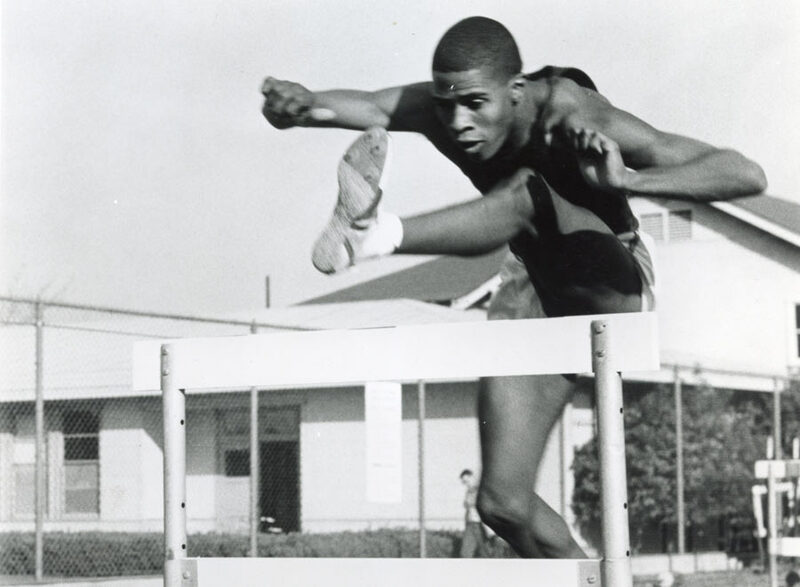 LOS ANGELES - Former Trojan hurdling great Paul Kerry, the 1965 NCAA Champion in the 120-yard hurdles, passed away on Oct.6 after an extended illness. 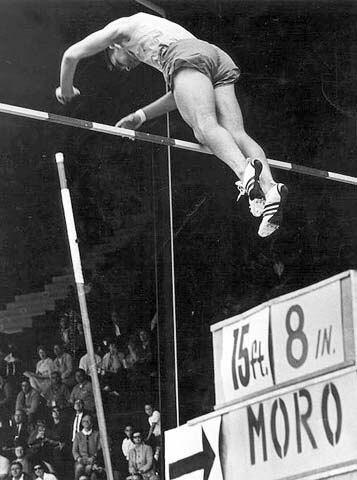 The two-time All-American Kerry lettered at USC from 1964-67 and won the 1965 NCAA high hurdles title with a time of 13.7 and took sixth place in the event at the NCAAs in 1967. 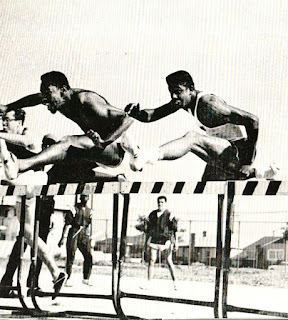 His efforts in the hurdles at both the 1965 and 1967 championships helped USC capture the NCAA team track and field titles. Kerry's 120-yard hurdles time of 13.7 ranked sixth all-time by a Trojan, with the event now being a 110-meter race. He also ranked tied for seventh all-time by a Trojan in the 440-yard intermediate hurldes (52.1), which is now the 400-meter hurldes. Kerry was born in Ardmore, Oklahoma and began high school there before moving to Los Angeles and attending Dorsey High and then Washington High. At Washington he began competing in track and field and setting records. 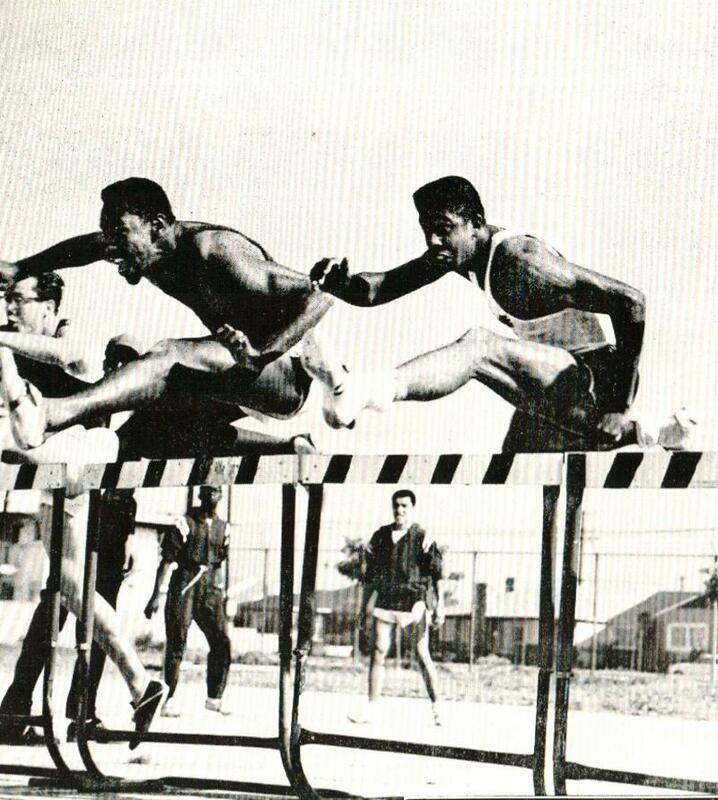 Kerry then attended USC on a four-year track and field scholarship. At USC, he earned a Bachelor's Degree in Physical Education and History, and a general secondary teaching credential. 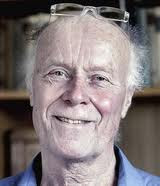 He later took graduate courses at several universities, including Pepperdine. During his college career, he was involved in many campus organizations and served as an officer on many occasions. 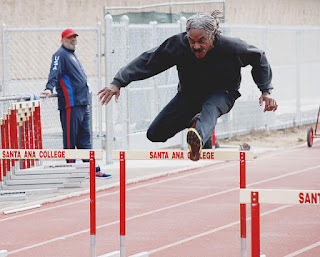 He ran track meets for the LA Unified School District Youth Services Program. Kerry taught at John Muir Junior High School before moving on to Santa Monica High in 1969 to teach social studies and to coach track and field. He worked at Santa Monica High until retiring in 1996. Over the years, he traveled to Sweden, Finland, Papua New Guinea, Brisbane, and Norway to help educate athletes and coaches. Among his honors was an NFL nomination as Teacher of the Year. From 1975-1985 Kerry also had a simultaneous career in modeling in the summers. He worked for Nina Blanchard, Mary Davis Webb and the Ford Agency. 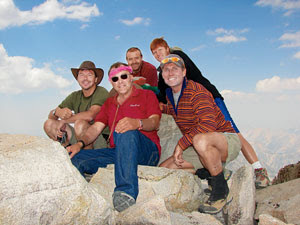 In retirement from teaching, Kerry was active in working with AIDS groups and enjoying his passion for skiing. 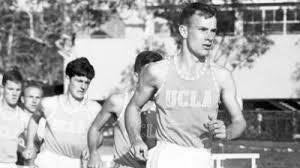 Bob Day, who was a standout distance runner for the Bruin track and field program during the 1960s, has passed away after a battle with bladder cancer. 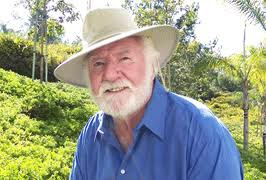 Day passed away at the age of 67 on Thursday morning in Irvine, surrounded by his wife Jenny and their family. Day was a beloved figure in the track and field world, especially at UCLA and in Irvine where he coached at Beckman High School since 2005. 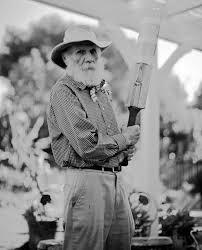 He was the first track and field/cross country coach for Beckman HS and built the program from the ground up. 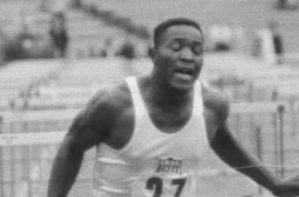 During his career as a Bruin, Day won the 1965 NCAA title in the mile and placed sixth in the event at the 1964 Championship. He set the school record in the event in 1965 (3.56.4), a mark that would stand for 40 years in the Bruin record books before it was broken in 2005 by Jon Rankin. Day still ranks second all-time in the two-mile (8:33.0 indoor), fourth in the 5000m (13:44.2) and eighth in the 1500m (3:42.1) at UCLA. His indoor 2-mile mark (8:33.0) is still the school record. 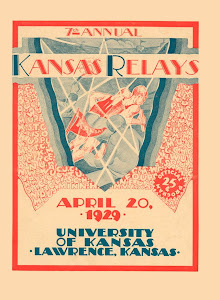 Day also still holds the sophomore class record in the 1500m (3:41.04), and the freshman/sophomore (3:58.9) and junior (3:56.5) class records in the mile. Day also set a collegiate record in the two-mile (8:35.4) and indoor 2-mile (8:33.0). In 1966, Day served as team captain, but an injury to his heel kept him out of the NCAA Championship. 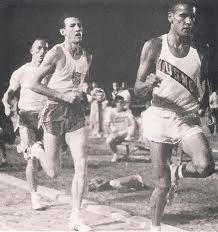 He went on to win the 1968 USATF Senior National crown in the 5000m and represented the U.S. in the 1968 Mexico City Olympics in the event.